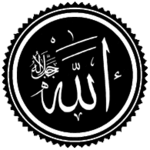 Kalām (Arabic: علم الكلام‎, literally "speech" or "words") is the Islamic discipline of seeking theological knowledge through dialectic (debate and argument). It also promotes prudence and logical reasoning. A practitioner of kalām is called a mutakallim (plural mutakallimiin). ↑ Wolfson, Harry Austryn (1976). "The Philosophy of the Kalam". Harvard University Press. p. 1. This page was last changed on 31 August 2017, at 05:19.